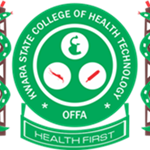 The Kwara State College of Health Technology, Offa (Offa Health Tech) has released its first and second batch admission list for the 2018/2019 academic session. According to a statement on the website of the institution recently, applicants are urged to check their admission status online. After checking their admission status, successful candidates are to proceed to the student portal and print their admission letters. Such candidates are required to pay their schools fees before printing their admission letters.